1. The entire 2017 offense returned for the 2018 season (with the exception of Carlos Beltran who retired at the end of the season). If it’s not broken, don’t fix it, right? 2. Justin Verlander was the highest-paid Astros player in 2017, making $28M (which equates to $137.2K per inning pitched). Not too bad for the All-Star pitcher. 3. Another popular Astros pitcher is Dallas Keuchel, who became the first major league pitcher to go a perfect 15-0 at home in the 2015 season. 4. Five Astros players made the 2018 All-Star team back in July. Second baseman Jose Altuve is the first Astros player in franchise history to be the top vote getter for the All-Star Game. Altuve started for the American League at second base, and is second member of the Astros to start four games (Craig Biggio was the first). 6. Speaking of MMP’s retractable roof, it takes 12-20 minutes to close the roof, and moves back and forth an estimated 160 times a year for a distance of 14.6 miles. 7. The Houston Astros are estimated to be worth $1.65 billion, according to Forbes (which ranks them as the 11th most valuable MLB team). 8. The Houston franchise debuted back in 1962 when they were the Colt .45s. 9. If you’re a fan of Houston’s old school rainbow jersey, did you know it was designed by an advertising agency, McCann Erickson? Read the entire story via ESPN. If you’re on the hunt for a pre or postgame spot, be sure to check out these downtown Houston happy hour spots from Culture Map (two are our on-site restaurants on the 1st floor, so you don’t have to walk far for good deals and game day vibes!). Whether you’re a diehard sports fan or not, if you’re looking for a new downtown Houston home, call us today at 713.222.0500 and ask about our leasing specials. 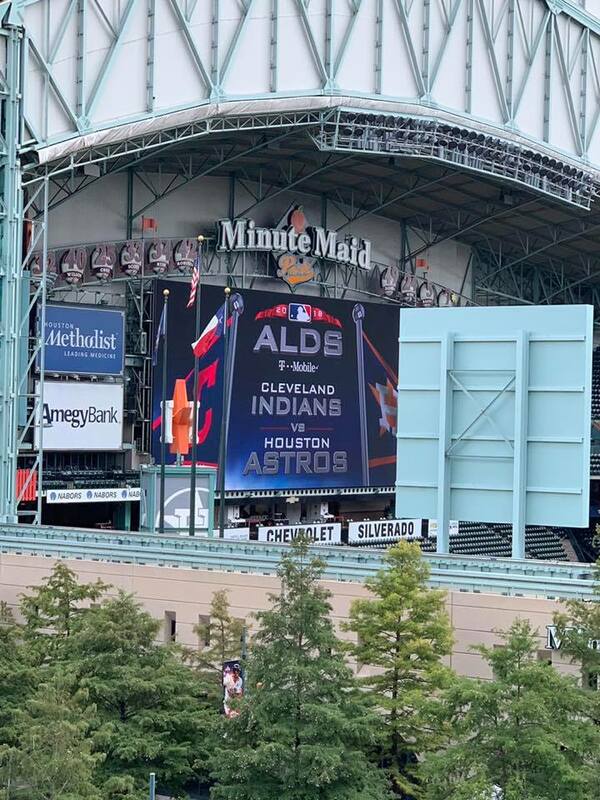 We invite you to tour our Houston luxury apartments and you too can be next-door neighbors with Altuve, Springer, Bregman and the rest of the boys.